It appears Xiaomi wasn't done releasing new fitness trackers this year when it unveiled the Mi Band 3 last month. Despite waiting around two years in between Mi Band generations, the company is set to release another new device, the Hey+, shortly after the arrival of its flagship budget fitness tracker. Launching the wearable on Chinese crowdfunding site Youpin, you'd be forgiven for thinking the device was, in fact, another variant of the Mi Band 3. But, per the specs, there are some subtle differences between the bands. For example, instead of the 0.78-inch, 128 x 80 pixel display on the Mi Band 3, the Hey+ will instead offer something slightly bigger - a 0.95-inch screen with a considerably improved 240 x 120 AMOLED display. 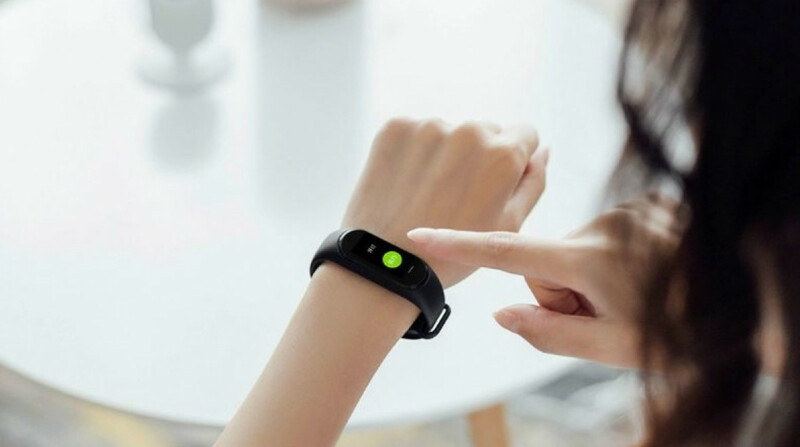 Aside from that, the tracker will offer built-in NFC support, while the video below also seems to indicate it will feature a heart rate monitor, notification support and even smart home control. As far as the fitness tracking smarts go, though, it's currently unclear what we can expect. We know that the Mi Band 3 is waterproof, and an image on the crowdfunding page appears to sugges that the Hey+ offer water tolerance up to 50 metres. The usual suspects - steps, calorie burn, sleep monitoring and exercise tracking - will all make an appearance, too. There's also the all-important price to consider. We've come to expect a budget tag with Xiaomi's trackers, and the Hey+ is no different - it's already surpassed its goal on Youpin and is priced at 229 yuan (around $33 when converted). However, something else we've come to expect is a lack of information regarding an international release, and this device doesn't appear to be breaking that trend. We'll update this story with more information as it becomes available, and we'll be looking to test out the Hey+ in the near future to see just how it stacks up against its siblings and rival devices.